It’s a great feeling when you pick up a new set of wheels, isn’t it? That new car smell, turning up the stereo to see what the speakers can do and if you’re anything like me you’ll then take it for a spin on the winding country roads, just to see if it is as smooth as it seemed to be in that test drive you had. While the new car feeling can be great, I think it’s also true to say that it doesn’t actually last all that long. Soon enough the novelty wears off and if you are someone who drives a lot of miles, then it may not be all that many years before you are faced with the prospect of having to look for a new car all over again. Will you have the money to be able to buy one, though? Or will you be left having to commit to an unattractive finance deal, all because you failed to plan ahead? 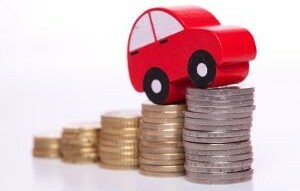 If you are used to buying a car on finance or with the aid of a personal loan, then worrying about having the cash to buy your next car may not be at the forefront of your mind. Maybe you have never had to pay any money upfront in the past, so why would you need to this time around? What if your circumstances have changed in recent years though, changed in such a way that you may find financing a new vehicle that little bit more difficult? Perhaps you have recently turned self-employed for example, or maybe you have had to take a pay cut during the economic downturn. Changes in circumstances such as these could have a big effect on your ability to borrow money in order to finance the purchase of a new vehicle, or any other large ticket purchase for that matter. This is why it can be wise to really think ahead about how you will fund the purchase of such an item, even if the prospect of that purchase is still a good few years away. Could you, for instance, begin to regularly put some money away in a savings account now, in order to have enough cash set aside to fund a large purchase such as a vehicle, without needing to borrow the money from – and pay interest on the money to – a bank or a finance company? If you were to put away just £100 per month, then over a three year period you would save £3600 and that is before we add in all of the interest which will have been compounding on your savings balance during this time. Sure, the interest may not be adding to your balance in the same way that it may have just a few years ago, but it is still money that will be credited to your balance, rather than debited as interest costs on a finance or loan agreement. The principle can also be useful if you are a young person who is looking to learn to drive in the coming years. Perhaps you are working? Could you also put some money away now in order to negate the need to borrow money to buy a car in the future, while you have the spare cash available due to your low general living costs? Could you imagine being in a position where you could afford to cover the cost of a new car, your first years insurance costs, breakdown cover and also the cost of the lessons themselves with cash, all because you were shrewd enough to put some money away during your younger years? This is the dream of many young people, yet few make it a reality because being young can often come hand in hand with frittering your money away. Having the forethought to plan ahead for the bigger expenses in life can really pay dividends for people of all age groups, as it can prevent you being landed with potentially expensive finance costs and it will also give you a financial cushion, just in case some other huge expense were to pop up along the way. Don’t forget to get the best price for your current car too. Have you ever made the decision to plan ahead for a large financial purchase? Yeah I think it’s a thing to do for several other expenses too, I just thought the example of a car purchase was a good one to use as it can cause serious problems if you find yourself needing a new one and the money just isn’t there! Sounds like you guys have a great plan. I agree that more people including me need to plan for the large purchases in life. So far if have had to get a new car I have known ahead so why not plan for it and save some money. Valid life lesson point. Yes Petrish, it’s something that we should all continue to do so that we are financially prepared not just for the unexpected but also for the expected. We have a few funds like this. We started with a car fund. That helped a lot when we unexpectedly had to buy a new (to us) car in September. Now hopefully we can save for my husband’s dream car. The idea is to put $300 a month in. I figure we wouldn’t want a car payment bigger than that. So not only are we saving, we’re used to have $300 coming out of the budget. So there’s no huge shock to the financial system. We also have a washer/dryer fund. We put in $2.50 each time we do a load of laundry. We’re up to $300. If the current units stay alive for three more years, we should be able to cover the replacements, I think. Four years, and we can definitely manage it.